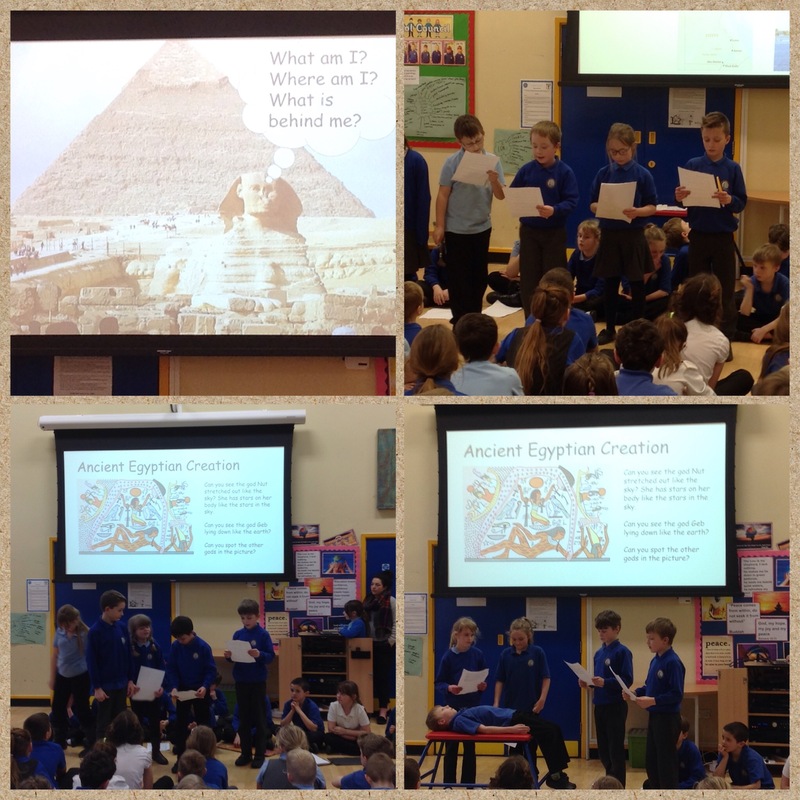 Today the Year 4 class gave us a fascinating insight into Ancient Egypt. 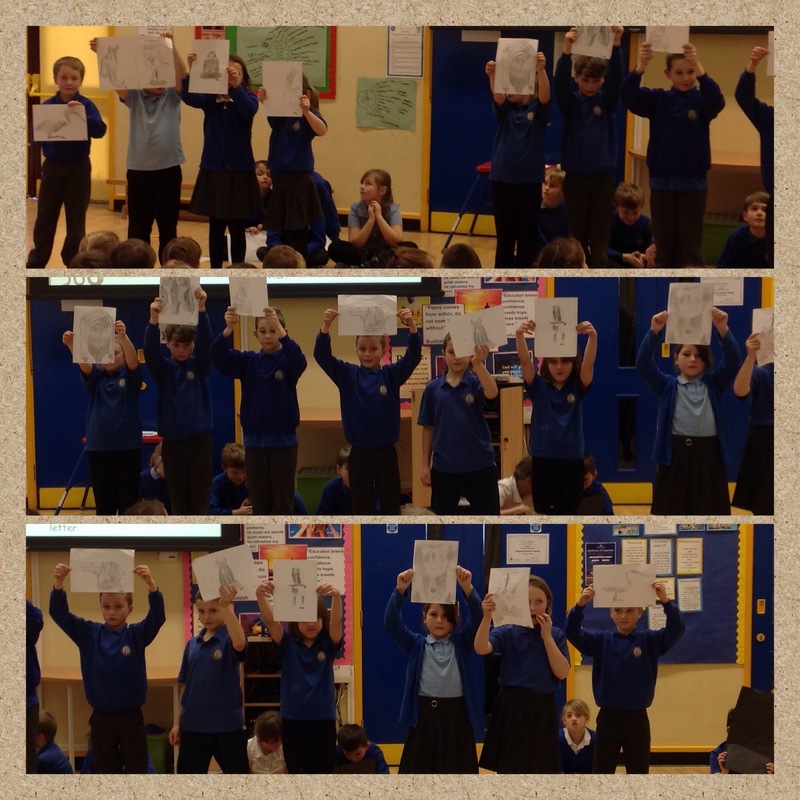 We learnt about Ancient Egyptian Gods and their beliefs of Creation. We had a demonstration on the process of mummification – role play only thank goodness!! The children showed their artwork of Cartouches with their personal inscriptions. 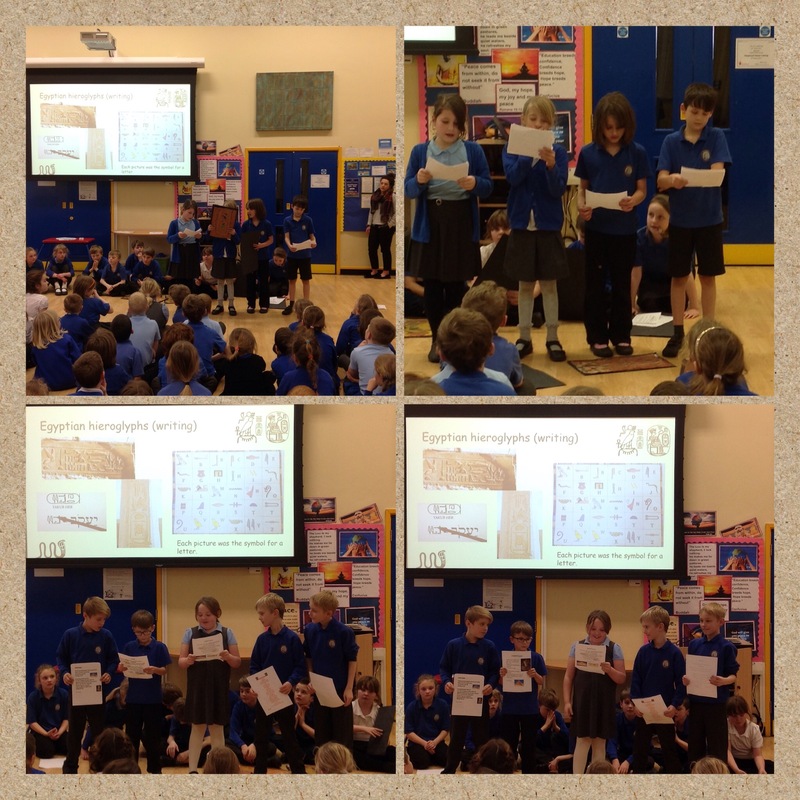 We were shown the work on hieroglyphs and papyrus paper, which is made from a papyrus plant – this is what Egyptians used to record their history. 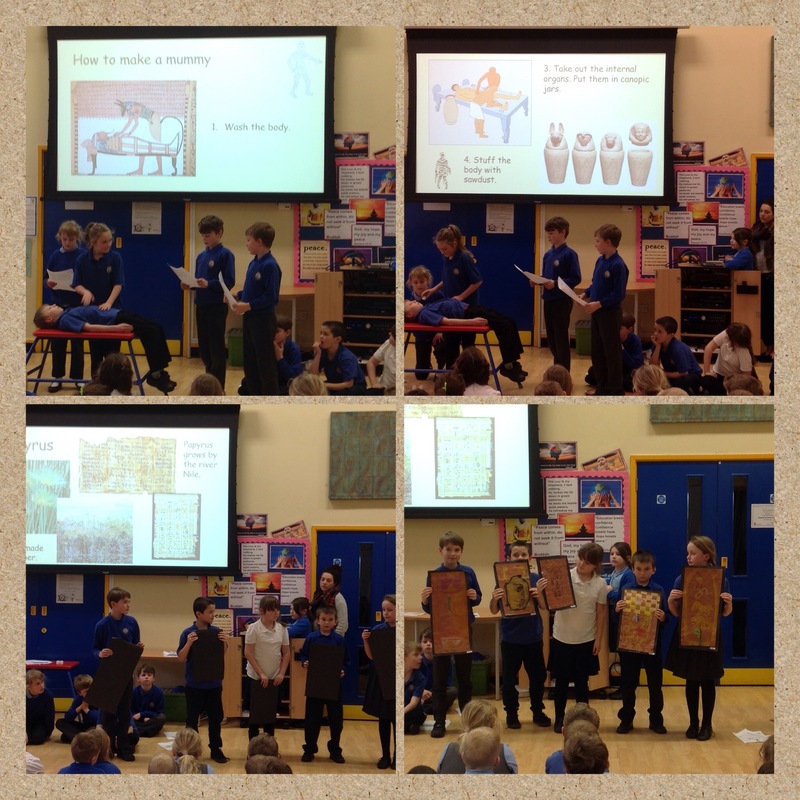 We saw some beautiful artwork inspired by Ancient Egyptian art. The assembly ended with a prayer led by Year 4 children. Thank you very much Year 4 – what a fantastic and interesting assembly! Next Post Year 6 visit Year 2 to help with a Lego based task!